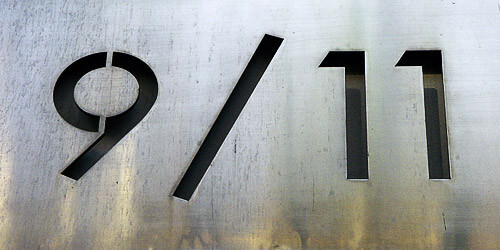 This is the 12th commemoration of the terrible events that took place on the 11th of September, 2001. Al-Qaeda terrorists have hijacked four planes that were flown into the World Trade Center buildings (The Twins) in New York City and in the Pentagon. The attack caused a lot of grief and awareness in the world. A War on Terror was launched by the USA and as a result of the 9/11 tragedy, a lot of countries have changed and strengthened their policies against terrorism. Another change for the worse has occurred. The global markets were affected by the attack; the economy as well. The attacks have led authorities to ground all the planes. This had an immediate effect on global warming: there was a 2-degree increase in temperature in the States. It is a known fact that white trails that the airplanes leave behind are actually vapors that reflect the heat away from the surface of the Earth. They actually induce a sort of a cooling effect. A sort of a mass hysteria erupted. Flights were restricted; people were afraid of flying or were afraid of terrorist attacks. This general panic led to a lot of car accidents because people began to avoid flying as much as possible. In the United Kingdom there is a strange phenomenon called the ‘Blitz spirit”. What does it actually mean? Suicides dropped with 40 percent after the 9/11 tragedy. Why exactly? Scientists believe that tragedies on a large scale bring people together, they become more united and they start helping each other. And the tragedy brought a lot of countries together that helped America through those times of sorrow. Although nothing can replace the empty place left behind by the victims that died in the terrorist attack, solace can mean a lot when it comes from people all around the world. What it is known for sure is that a lot of 9/11 conspiracy theories have been suggested after the attack. The world was surprised by the Zeitgeist movie that came with a different approach regarding the 9/11 events. Unfortunately, the world was subjected to a lot of hate crimes following the 9/11 terrorist attack. Some effects had a long term influence on people. For example, the toxic debris that was left behind made way for a lot of illnesses. There was also a cultural impact, the tragic events influencing the media, the movie industry as well as music and literature.